that took a struggling small business to a $60 million dollar enterprise in a few short years. Read how DataOne did it! 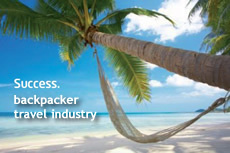 "The software system we've designed has underpinned the success of a small backpacker travel company, resulting in them becoming the top of their game in Australia. It has been developed specifically for their own business needs." "We believe they will be a dominant travel company in Australia in the next few years due to their rapid growth and lean infrastructure." How can DataOne Consulting assist my business? Consulting to your Business and building successful software is more than just talking the talk. At DataOne we have the know how to back it up so that we can find the best possible solution to your software needs and ultimately save your business valuable time and money. Whether you’re running a small business or part of a large corporation, DataOne works in partnership with you to build customised software solutions that work. We listen to your needs, take an in depth look at the mechanics of your business and talk to you without the jargon to find a solution to help your business function to its fullest potential. The next step is to develop customised software solutions helping to link, flow and grow your business. Whether it be e-commerce solutions, booking & dispatch lodgement programs, multiple supply chain ordering or implementation of internal work flow systems, DataOne has the expertise to develop and implement your project. DataOne is committed to your business from project conception, ready to lend a helping hand with training and offering long-term ongoing support well beyond project completion. Innovative software solutions that offer significant improvement in lowering costs, reducing manual labour, saving you time and more importantly dollars. Now that’s an idea. That’s DataOne.